Not only is Anthony Williams the front man for BEERTasters, a Perth outfit spreading the good beer word, but he’s also a good guy and as such dropped by on my last shift at Five Bar to give me a present. I love presents and I love beer so even better when the gift is beer! 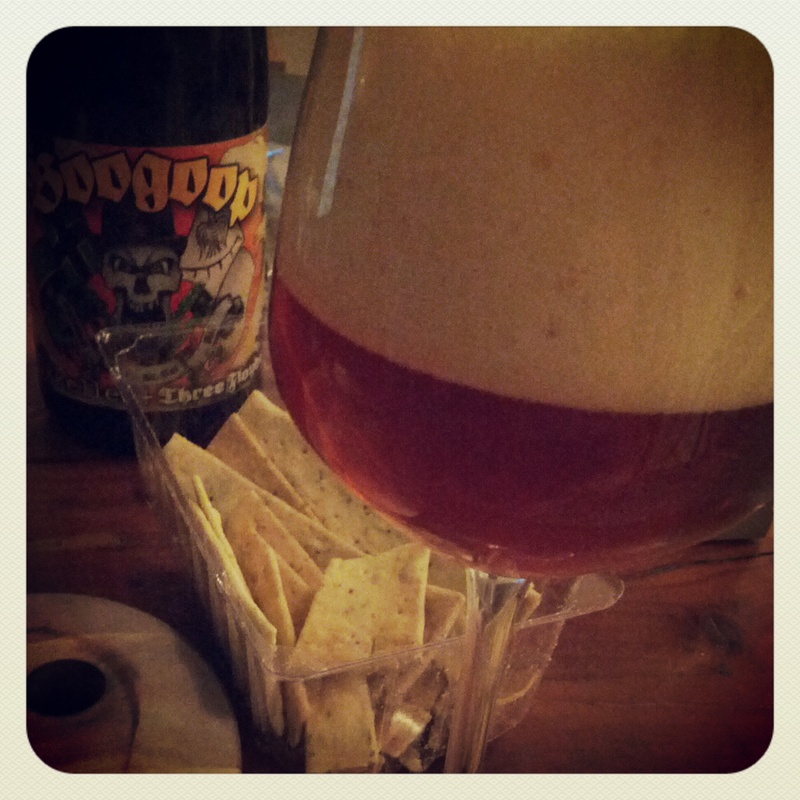 It was a bottle of the Mikkeller & Three Floyds collaboration brew, Boogoop. For some time it waited to be consumed, taking a prominent place on the bookshelf and being saved for the right occasion. Boogoop is the fourth collaboration brew from Denmark “gypsy” brewer, Mikkeller, and Chicago artisanal brewery, Three Floyds. It follows in “goop” predecessors – Hvedegoop, Oatgoop and Ruggoop – and whilst its got a funny sounding name it’s also seriously good. The beer is a buckwheat wine-style ale which had me grabbing for my books to find out what exactly was buckwheat. First, it’s not a grain, it’s actually part of the herb family that’s Asian in origin; and secondly because buckwheat has grain-like qualities it’s another something for brewers to play with. From what I can gather Boogoop is using a certain amount of buckwheat in the mash (not sure how much but would love to know) and producing a barley wine styled ale. I am happy for anyone who’s more knowledgable on the topic to expand on this for me. At a throat-grabbing 10.4% abv and flavours that smack you around (but cuddle you after) it certainly felt like a barley wine style to me! 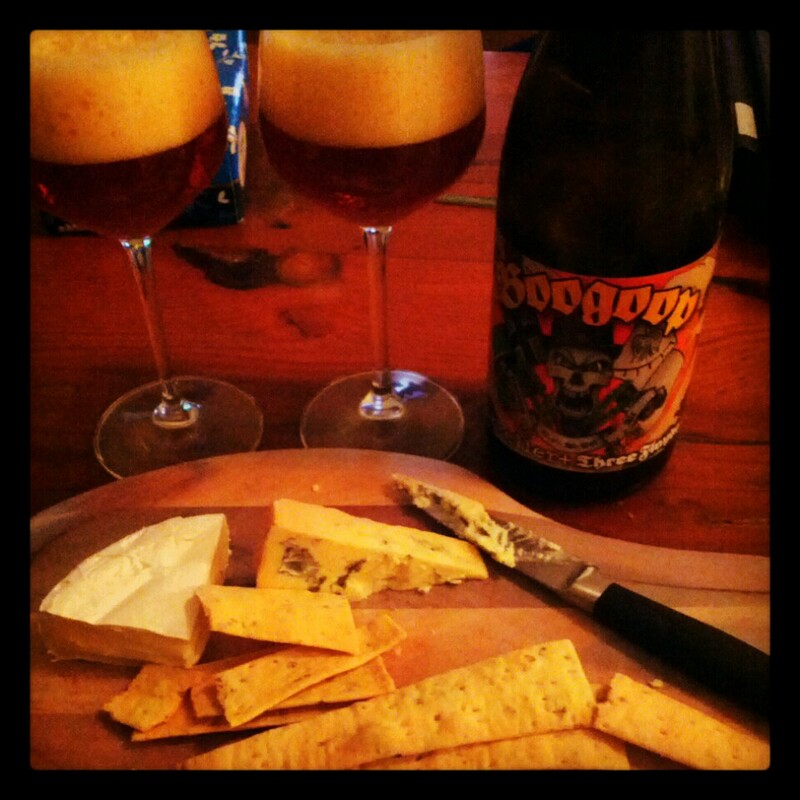 The special occasion my boyfriend and I waited for to enjoy the Boogoop ended up being any old weekday night when we really, really felt like a rich beer and some cheese. 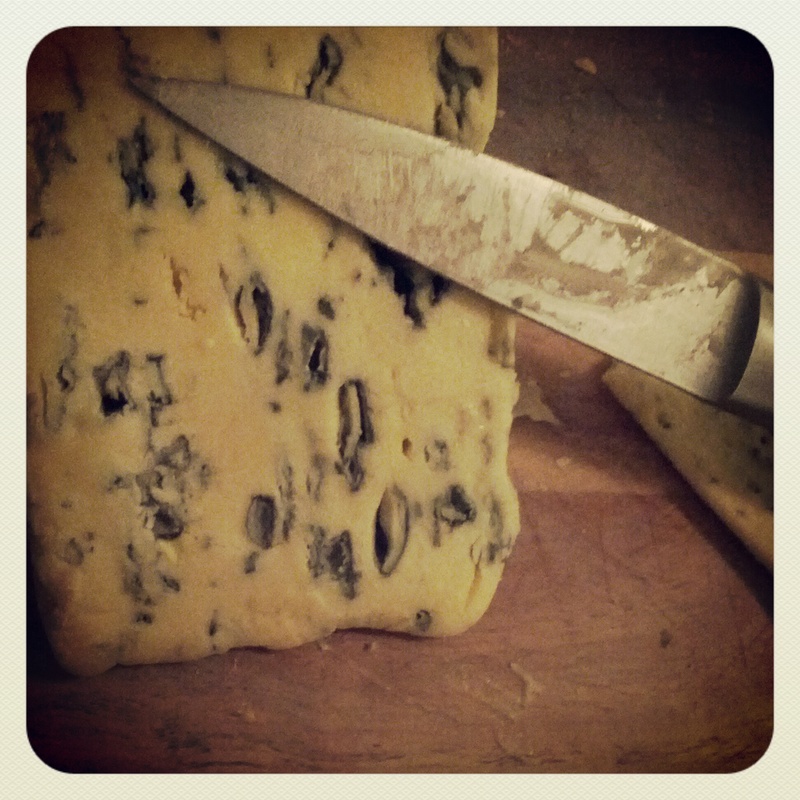 Of course it was going to have to be a suitably big and rich cheese so my boyfriend picked up a wedge of Blue Cow Blue Cheese. We popped the bottle open and a gorgeous, hazy burnt caramel colour with a big white foam head filled the wine glass. I initially got a nose full of spices with plenty of IPA characteristics like grapefruit and floral notes and just a heck of a lot of hops. Ok, I thought to myself, smells like a spicy IPA. Wonder what it tastes like? I took a gulp and it’s certainly not a subtle beer and I’m certain it’s not supposed to be. 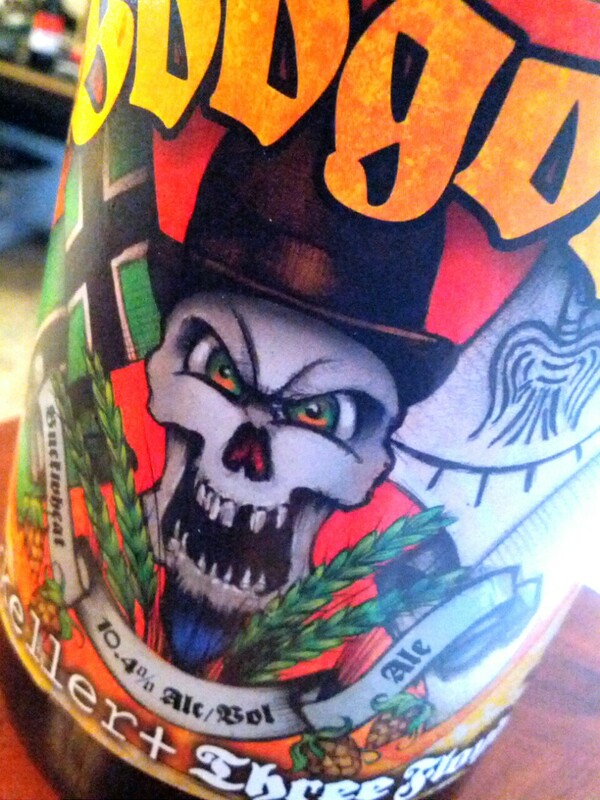 Looking at the 3Floyds website subtle really isn’t their thing. Caramelised tones with warming alcohol and perhaps a hint of tropical fruits (passionfruit? ), it’s rich and a little chewy which. When paired with blue cheese it made for a wonderful contrast in two different kinds of rich, the beer being the sort of sweet that is dark and sticks to the back of your mouth and the rich bitter and creamy blue cheese. Delightful! We also had a little camembert lying around and tried this with the beer too, resulting in another great matching of creamy sweet cheese and sticky sweet beer. 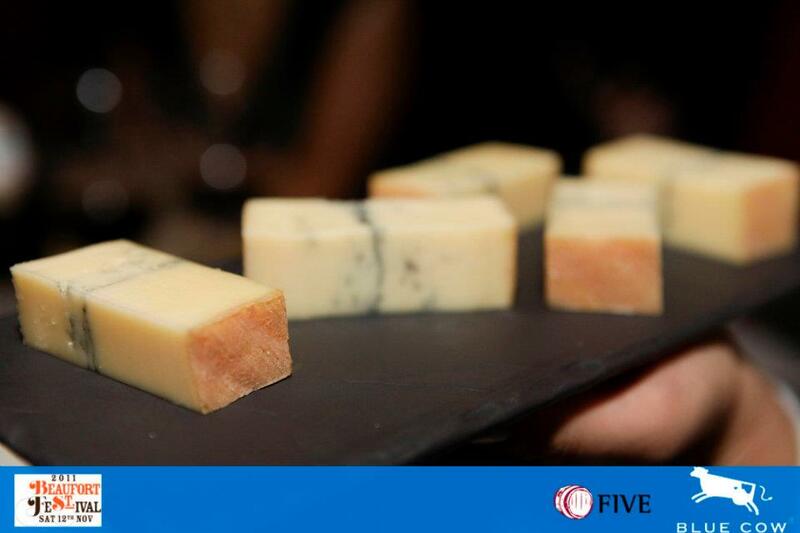 Cheese + Beer can be mind-blowingly, taste bud-dancing experience. Head to the shops, find a few different types of cheese and then hit your favourite craft beer bottleshop.